I’m beginning to understand the essence of this Native culture, and by extension, my own. The traditions, the kayak-building, they bring everyone together. It brings the young people, who eagerly hold pieces of wood together for the adult builders. It brings the elders, who come by to drop a few pieces of crucial advice. By the time an umiaq frame is finished, half the village has spent a day hanging out for some reason or other. My favorite thing about partnering with Filson has been the opportunity to share the perspective of indigenous peoples. 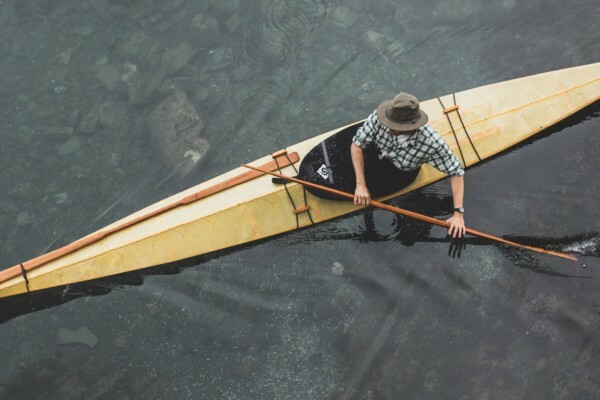 I wrote an article for Filson Life, their blog, about what it means to be a traditional kayak-builder and why making stories and passing them on is so important in life.